This is the true story of two mothers, one in the United States, the other in Korea, and of the little boy who left the world he knew to make a home with a new family. This powerful account of international adoption and ultimate reunion is told by the adoptive mother, who held her son’s birth mother in her mind and heart, never imagining that they would meet. Her book can be ordered from Monkey See Monkey Read bookstore in downtown Northfield or via Amazon and B&N. Charlotte is not new to writing. 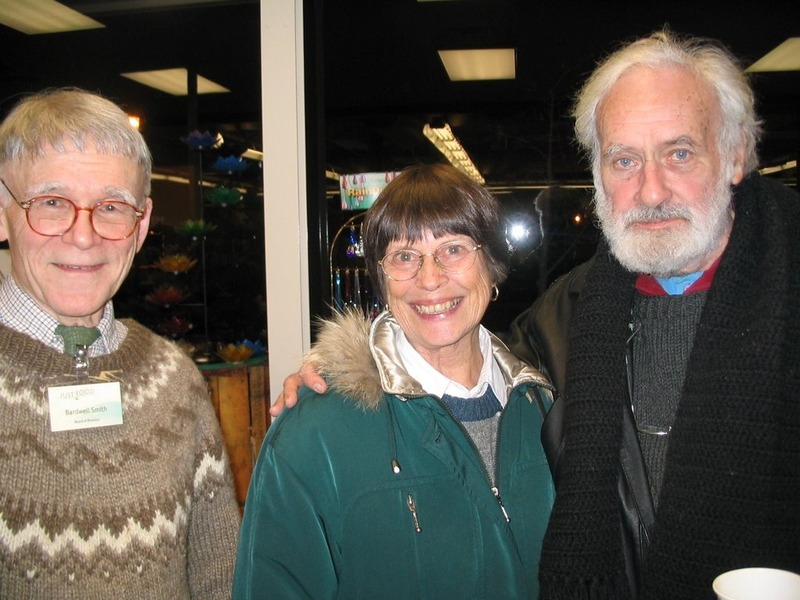 She has a lengthy article on her husband Bardwell Smith’s website titled The Garden of Quiet Listening, the Japanese garden at Carleton College. Hey Charlotte: how about getting Bardwell a new sweater for Xmas? 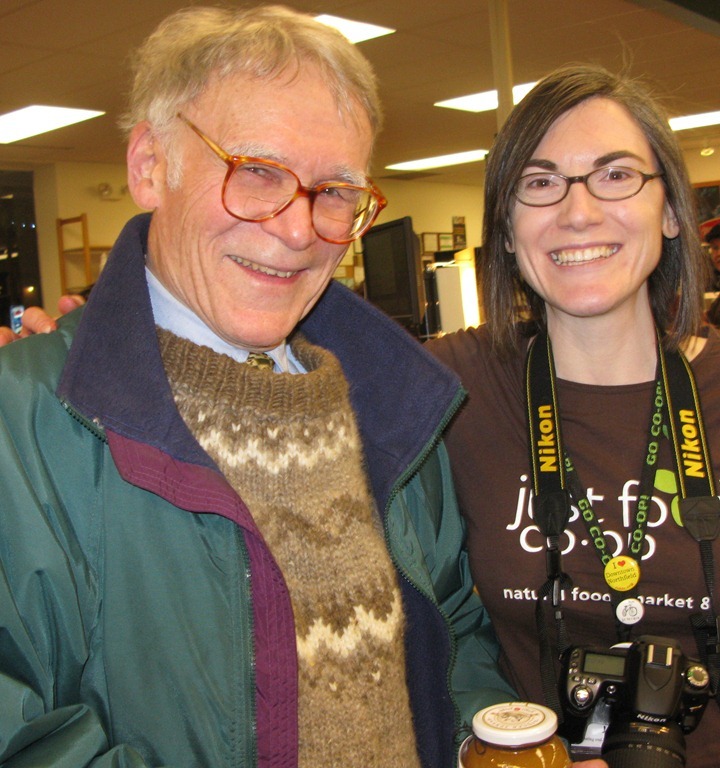 As a bit of a fashion maven, I noticed that Bardwell Smith was wearing the same sweater at Just Food Co-op’s 5-year anniversary wingding last night that he wore for its grand opening in 2004. I did a search of the photo archives at Carleton College and found a 1953 photo of him.